Would you like to dine at The Brownstone? Shop at Posche? Bask in the glow of the incompletely-lit sign of Danielle Staub's strip-mall plastic surgeon's office? 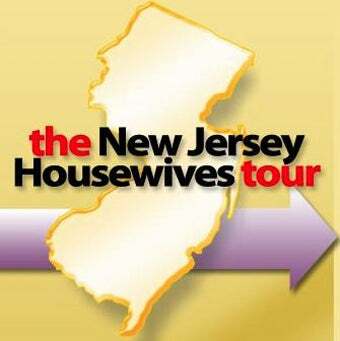 Then The New Jersey Housewives Tour is the next bus you should catch! Run by an event-planning company based in Wayne, NJ, the motor coach sightseeing tour acquaints fans—at $95 a pop—with the "trendy salons, eateries, homes and shopping spots" made famous on The Real Housewives of New Jersey. While its website insists that the tour is "in no way associated with Bravo, The Real Housewives of New Jersey or any of its affiliates," a call to the management company running the tour said that the stops—which include a four-course lunch at The Brownstone, the catering hall owned by the Manzo family, and a shopping trip at Kim G.'s Posche—have been confirmed and approved by the venues, which obviously implies some level of cooperation. However, if you want a ticket to ride, you're going to have to wait. The tour is sold out completely through October. But hang tight; the company is working on tour dates for November.